So I've not posted again for quite some time (again) but big news....I've quit my job and am making the move from big city firm to big city bank and going in-house. I'm being promised a better work-life-balance so hopefully there'll be more mummy-Pose (mummy and Rosetta that is, not that I intend to spend my spare time from now on standing in awkward poses around my house looking like I'm trying to emulate a '70s catalogue) and baking time. Don't get me wrong, I have been baking and I have more than enough things to blog about, I just haven't had the time to blog. A couple of years back I bought hubby this great tapas cookbook, it's awesome. There are so many great recipes in it. This is the simplest and greatest! 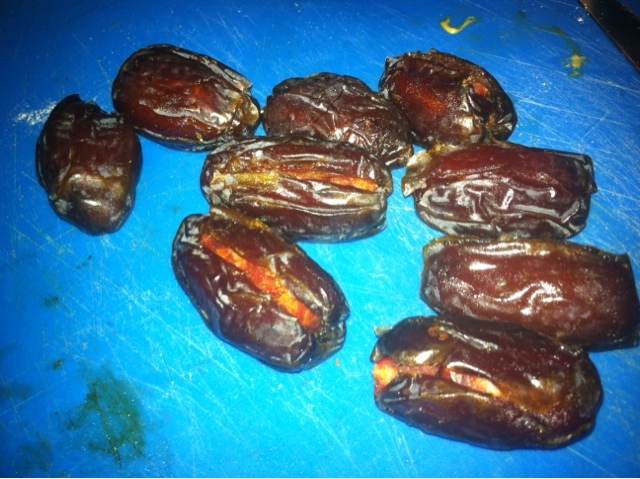 1) If you have dates with the stones in, take the stones out by cutting a long slit down 1 side (lengthways). If your dates are already pitted they should have a good cut already but if not, make the same cut. 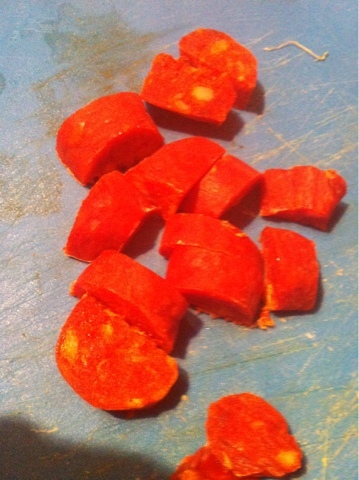 2) Cut the chorizo into 12 fairly equal bits. 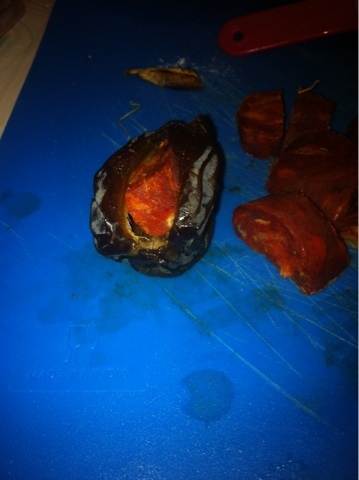 Place a piece of chorizo in each of the slits in the dates and try to mould the date around the chorizo. 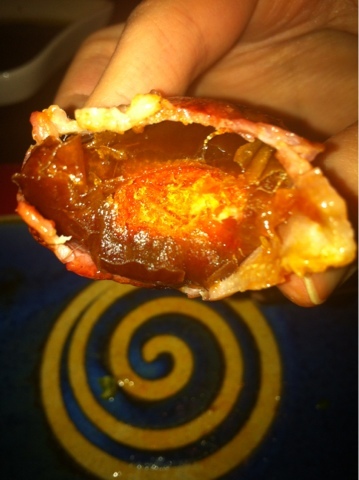 3) Cut the bacon in half and wrap a half around each date (you can always use 1 whole piece of bacon if you so fancy - I won't judge). 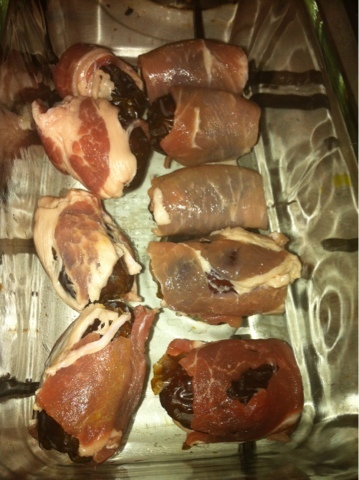 4) Put each date in a hot frying pan just to brown the bacon and finish in the oven. EAT! These are so so good! Better than pigs in blankets or any other variation. I could (and did) happily eat a plate of them all on my lonesome.